I didn’t quite mean to go so long before continuing my series of blog posts about subplots; additionally I have also been meaning for years to do a post on some 3rd of June1 about the 1967 hit song, “Ode to Billie Joe” and its unusual singer/songwriter, Bobbie Gentry. Then, because another blogger who did remember on June three to write about the song and they linked to an excellent podcast about the singer, I realized there is a connection between the subjects of plotting and the song. 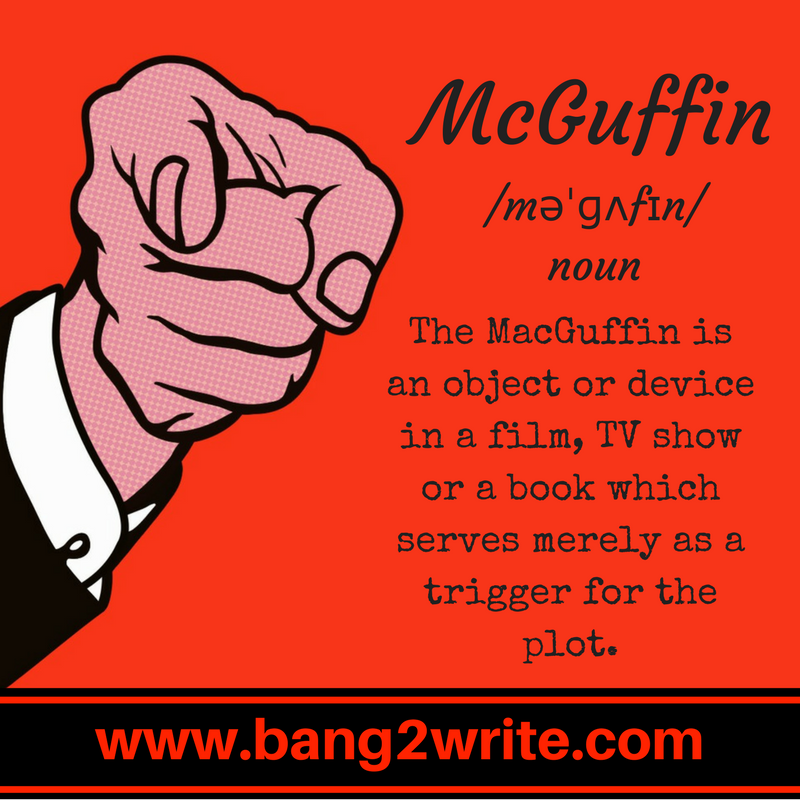 So I’m a couple of days late, but let’s talk about a narrative device which is often intimately related to subplots: the MacGuffin! The song is often retro-activily classified as Country, but at the time it was more clearly pop with a heavy blues influence. I think people classify it country because the story of the song is set in the south and she lets her Mississippi accent through. Anyway, as a short story, it’s pretty phenomenal. And part of appeal of the song, clearly, is the mystery at the center of the song: what did the narrator and Billie Joe throw off the bridge earlier in the week, and why did Billie Joe commit suicide? Over the years, Bobbie gave a very consistent answer: she didn’t know and it didn’t matter2. Many times she explained to interviewer, “It’s a MacGuffin. Alfred Hitchcock called the object that moves the plot along but isn’t really important on its own a MacGuffin, and writers have been using that term since the 1930s.” The song wasn’t about what happened, rather it was about unconscious cruelty. The family is sitting around the table discussing the suicide of someone they all know as casually as they ask each other to pass the biscuits, completely unaware that the suicide victim’s girlfriend is a member of their family, sitting right there listening to them. The something that the narrator and Billie Joe were seen “throwing off the Tallahatchie Bridge” is one type of MacGuffin. It is something another character saw, and a third character comments on, which draws a connection in the minds of the audience between other events in the story. But exactly what it was and why it was thrown off aren’t important to the tale that the writer is sharing. The specific nature of the object may be ambigious, undefined, left open to interpretation, or otherwise completely unimportant to the plot. Alfred Hitchcock once said that in a thriller the MacGuffin is often a necklace (a small object which can be worth a lot of money, but may also hold sentimental value or be coveted for its beauty), while in a spy stories the MacGuffin is usually some mysterious papers. The important thing (storytelling-wise) about the MacGuffin is what it motivates the characters to do, not what it actually is. In the example of “Ode to Billie Joe” the thing thrown off the bridge is important because apparently it contributes to Billie Joe MacAllister’s decision to commit suicide, probably motivates the preacher to come tell Mama the news of the suicide, and draws the audience’s attention to the connection between the narrator and Billie Joe. One might wonder how MacGuffins relate to subplots. As I’ve discussed before, subplots are sequences of events with plot-like structures that happen within a larger story an are sometimes only tangentially related to the main plot. And sometimes a way you can connect subplots more closely to the main plot, or even connect subplots which aren’t otherwise related to each other is with the use of a MacGuffin. For example, many years ago when I became the editor-in-chief of a small sci fi fanzine, I inherited a project started by the previous editor. She had come up with a framing tale to allow contributors to write a large group story together. This allowed contributors who had trouble coming with with plots an easy situation to write some scenes about their characters in, for instance, and encouraged contributors to work with each other. When I became the editor, there were about 40,000 words worth of writing from a whole bunch of people… and most of it did not fit together very well. I went through the whole thing, taking notes and trying to come up with an outline that would fit all the disparate pieces into the original framing tale. One of the contributors (and an Associate Editor), Mark, regularly wrote a lot of the stories we published, and had written several sequences with different characters which could have been turned into interesting plots on their own. So we talked at length before bringing the proposal back to the rest of the editorial board. There would need to be a lot of new stuff written to tie the pieces we had together and push the whole thing to an ending, and I proposed two MacGuffins to help us out. A lot of the existing sequences (and the framing tale) involved a criminal deal (worth the equivalent of hundreds of millions of dollars) gone wrong. While the initiating event for the non-criminal characters was an anniversary party to celebrate the original maiden voyage of a spaceship. So, one MacGuffin would be the 36th Century equivalent of a bearer bond: a physical object containing some kind of encryption key which could be presented to a particular financial institution and be exchanged for the hundreds of millions of dollars—that could be cashed by anyone. The other was an anniversary present which the pirate captain charged his first mate with making certain was delivered to the captain of the ship celebrating the anniversary. This gave us two packages that were both in the possession of one of the criminal leaders early in the story and then became separated in the chaos of the shoot out and the inconveniently times major earthquake. Many of the criminal characters believed that either of the lost packages was the fabulously valuable bearer bond, but weren’t sure which one. Other characters had no idea when either package was. A lot of the sequences which had no other connection to the established plots could thus be connected merely by adding a few sentences where one or another of the characters came into contact with a package that looked important, and then losing it. Other sequences got a more firm connection to the plot by adding a few sentences where one or more of the characters was trying to find one of the packages. We published the final tale as 24 chapters in consecutive issues of the ‘zine. The final word count was a bit shy of 250,000 words. And those two MacGuffins really helped. In the penultimate chapter, one MacGuffin finally ended its journey, and I managed to make the delivery of the lost bearer bond to the pirate captain into the punchline to a joke. The other MacGuffin never made it to where it was originally destined, but it served as the final punchline to the entire story. The objects themselves were not really important, particularly in light of the number of characters who were killed in the course of the tale7. But the objects provided through-lines for may subplots and kept the reader guessing until the very end. 2. Please don’t ping me to tell me that the 1976 movie based on the song reveals the answers. It doesn’t. Through a series of events involving a later minor hit of Ms. Gentry’s that was the theme of another movie, a studio approached her with the idea of making a movie based on her first hit. Per the agreement, her only involvement with the movie was they would use an existing recording of her singing the song in the soundtrack, and she would have one meeting with the screenwriter. Only one. He reported afterwards that the first question he asked her was why did Billie Joe commit suicide. He said Gentry laughed and told him, “I have absolutely no idea. That’s not why I wrote the song.” Then he asked her what they threw off the bridge, and she repeated that she had no idea. Left with no information he could use, the screenwriter made up a rather convoluted plot, and named the previously unnamed narrator of the song Bobbie, so that audiences would believe that the song was autobiographical3. 4. In a very early interview about the song, when the interviewer was not happy with Bobbie’s explanation that it was a MacGuffin and pressed her repeatedly for an answer, Bobbie said, “I really don’t know. Maybe it was a ring or a locket that represented an engagement or something?” But clearly at this point she admits that she is guessing, too. 5. A lot of the authors or co-authors of some of the sequences had left the project, but we had permission to use the material, without always knowing how the absent writer had intended to end their sequence. 6. Yes, we were technically a fan project, but we had regular meetings and I had agendas for the meetings and we took minutes and everything. I’m that kind of editor! 7. It was a natural disaster story and the story of a criminal deal gone wrong, with multiple shoot-outs—of course characters died! 8. Edited to add: I should have linked to the podcast. Cocaine & Rhinestones Season 1, episode 4, “Bobbie Gentry: Exit Stage Left”. Great read, and wonderful to be reminded of this song. Thank you.